Their own label, built with no creative boundaries, Radau is a playground where the Berlin quartet remove all limits and expectations and dig deep into the mindset and experimentalism that united them in the first place. 'Frequent Tendencies' sets the scene perfectly. A loosely hewn sliver of emotion constructed just a smidgeon off grid, there's a natural momentum as we're thrust deep inside a vociferous synth hook that rises unapologetically, gradually taking us to a surprise pivot. From here the articulation switches, a whole layer of weight and emphasis on the riff opens up and your crowd won't just elevate, they'll levitate. 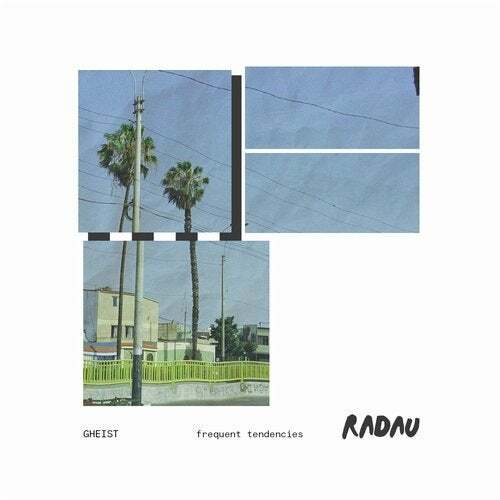 With plenty more music due on both Radau and beyond, it seems GHEIST's impeccable acceleration over the last two years will continue for a long time to come.